Fort Riley will serve a fun, unique Thanksgiving type meal this weekend. The Army post is ready for its third annual “Gobble Wobble” this Saturday. The “Gobble Wobble” is a two-mile fun run, or walk, that includes Thanksgiving dinner along the route. The run begins at Riley’s Conference Center and features five food stops where participants will be able to enjoy portion-controlled turkey and gravy, mashed potatoes, green bean casserole, a dinner roll and, of course, pumpkin pie. Participants are invited to stuff area food banks, as well. Attendees who bring a non-perishable food item will be entered into a prize drawing. Visitors to Fort Riley who want to attend the Gobble Wobble and don’t have a Department of Defense ID card must stop by the Henry Gate visitor’s center (I-70, exit 301) to get a one-day pass. 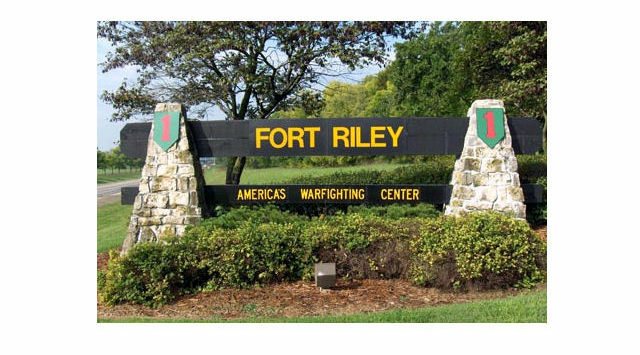 Learn more by clicking on the yellow “Accessing Fort Riley” button on the right-hand side of the page at www.riley.army.mil or by calling 785-239-3138.